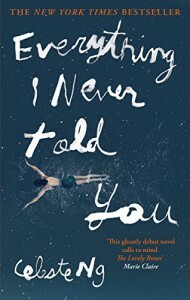 Everything I Never Told You is a slow paced book that is more a character study and lesson in life than a story. The Lee family is a mixed Chinese American family set in the 1970's. The story starts with the discovery that the middle child, Lydia, has gone missing and is soon found at the bottom of the nearby lake. Lydia was the family favorite, so the book shows how the family unravels in a variety of ways. There are many things I really liked about this book. It does show the power communication can have. If any of these family members would have talked to one another, it's likely none of this would have ever happened. It shows how easy it is for people to assume we know our loved ones just because they are family and we see them every day. Especially between parents and children. It's easy for parents to assume we know what our children are feeling or what they want because we were once their age. So they must be going through the same things we went through, and many times we would do anything to keep them from experiencing the same painful moments we had to go through. And sometimes we end up doing more damage as a result. Jack loved Nath just because he licked the drop of water that fell from Nath's back and landed on his hand. The other issues I had were along similar lines - the Lee family never talked to each other about any of their true feelings. 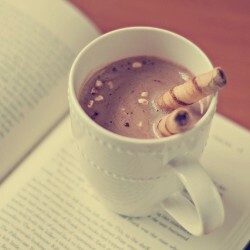 Everything was false or left unsaid. Then, suddenly, each realizes the 'truth' of the situation (not what happened to Lydia or why, but that everything in their lives was false). It comes to them in a flash, triggered by something mundane. I can see where these instances might make them question their beliefs, but I don't see how they could suddenly be so spot on about their reality. I felt another miss was that the mother never acknowledged that she made a choice in her life. She wanted to be a doctor, but fell in love and got pregnant. She could have still been a doctor but chose to pursue a family life. Granted, I know that given the setting of the story that was much more unlikely back then than it is now, so I do get that she would feel somewhat slighted. But it was still her choice to sleep with James, and apparently not use protection. The whole story we are told how much she feels she settled for what she was 'supposed' to do. Then she has an aha moment when she opens her eyes and really stops to think about the fact that her neighbor, who is a single mom, is a doctor. That's what makes her think she can still be a doctor - but what I don't get is that she leaves her family to finish her degree. Why wouldn't that moment make her realize she could still pursue the career and stay with her family, especially since she had a husband to support/help her where the other woman did not? To me she came across as a selfish one-dimensional woman who could only define happiness as anything that was the opposite of what her mother had been.